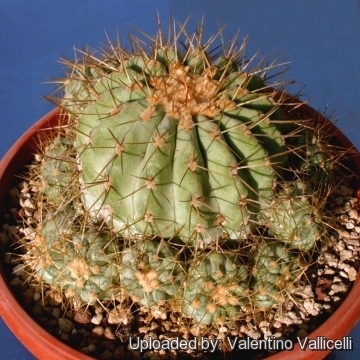 It is a striking slow growing species that forms large clumps with age. 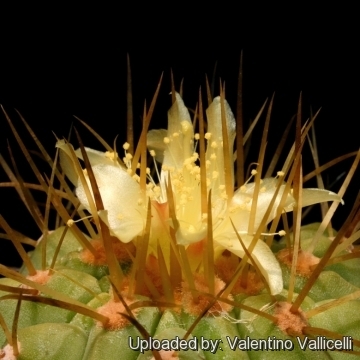 The ochre wool of the stems apex and the yellow spines distinguishes this species from Copiapoa cinerea. 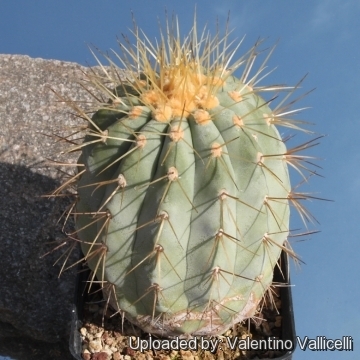 Origin and Habitat: Endemic to the Atacama desert (Chile, Antofagasta) on a few hundred metres wide coastal plain at 15 km NE, inlands above Paposo (from Taltal to Caleta Colorado), which lies between the sea and the steeply rising coastal mountain. 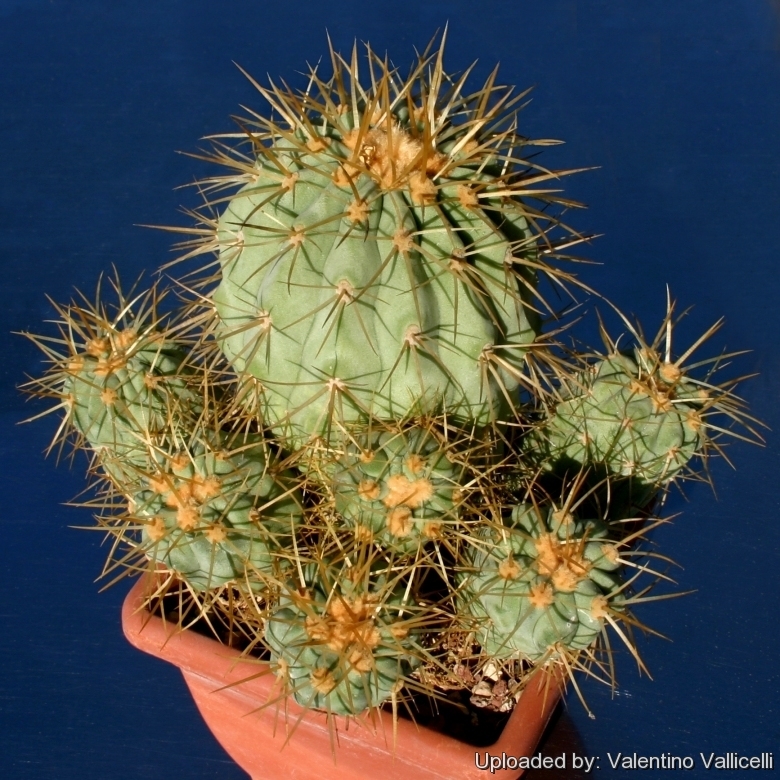 Habitat: It grows in a scattered population in succulent vegetation such as Heliotropium, Pleocarpus and Opuntia. As is common in this coastal desert climate the early morning is foggy (the humidity of the sea furnish part of the water needed by this plants). By the middle of the morning however, the fog cover dissipate and sun breaking through the gaps warming the ground. The Brained Lizard (Liolaemus platei) is said to feed on floers of Copiapoa haseltoniana. 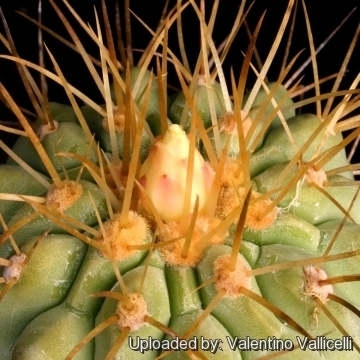 Description: Usually forms massive clumps, up to 1.5 m tall. 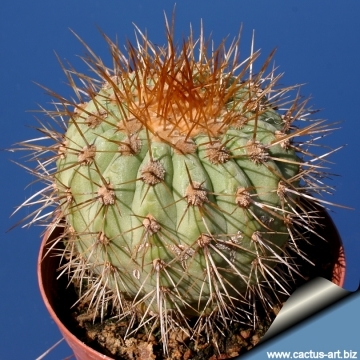 Stems: Light green or reddish tinged with an amber yellow woolly crown, up to 25 cm in diameter, round branching laterally with 14 to 22 ribs. The individual stems are generally oriented northwards. 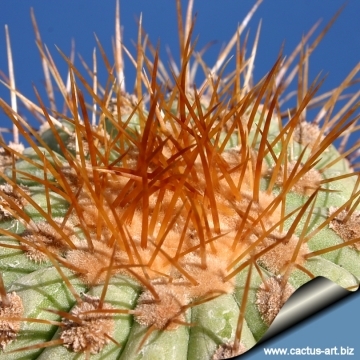 Spines: Golden up to 3 cm long; 0 to 2 central spines; 0 to 8 radial spines. 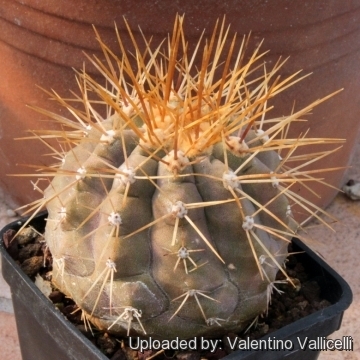 Cultivation and Propagation: Considering that Copiapoa haseltoniana comes from a habitat with an extremely arid climate, they are remarkably tolerant of pot culture, but susceptible to overwatering. They requires also an appropriate air circulation. 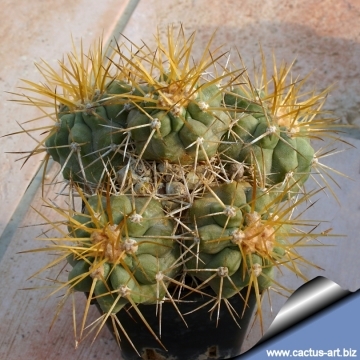 Copiapoas are summer grower species easy to cultivate.